Colfax bed and breakfast travel guide for romantic, historic and adventure b&b's. 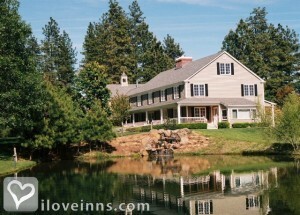 Browse through the iLoveInns.com database of Colfax, California bed and breakfasts and country inns to find detailed listings that include room rates, special deals and area activities. You can click on the 'check rates and availability' button to contact the innkeeper. Although Colfax is a small city, it is known to have some attractive spots that tourists could not possibly ignore. Colfax bed and breakfast are by themselves places of wonder not because of their size and sophistication but for the home-like warmth that they provide to guests. Make it a point to have fun in Rollins Lake. The lake is the site of some Colfax bed and breakfast inns. Other must sees are the Colfax Museum which is at the newly renovated train depot along with the Chamber of Commerce office. The downtown shops that dot Main Street also provide tourists with goods that tourists can buy as souvenirs. By Sierra Sun Cloud Inn. Colfax, CA is a historic railroad town with strong ties to the California Gold Rush. Situated at the 2500 foot elevation, this charming little town has a bed and breakfast, antique shops, restaurants, a historical theater and many reminders of the past. By Sierra Sun Cloud Inn.